Simple. Delicious. It's all you need. There's one thing all chefs have in common: they love using the best-quality produce. We're lucky in Australia to have incredible ingredients literally at our fingertips, and we're equally as lucky that our renowned chefs create world-class dishes with them. 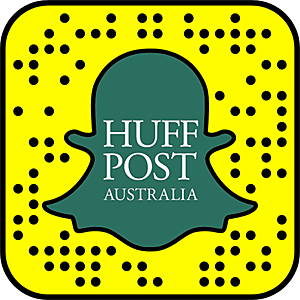 One such chef is Neil Perry, who is one of Australia's leading and most influential chefs. Everyone loves his simple yet exceptional food, which is always full of flavour and inspired by various cultures and cuisines. 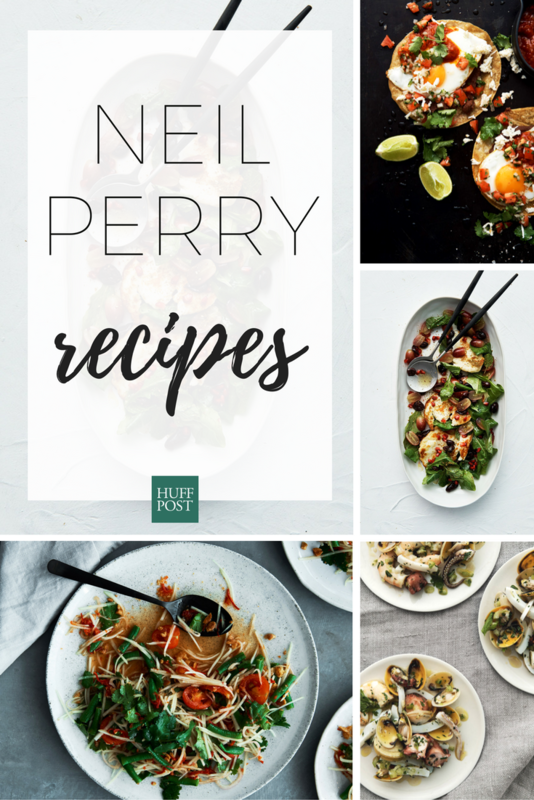 Well, here are four of Perry's favourite recipes from around the world that you can make at home. 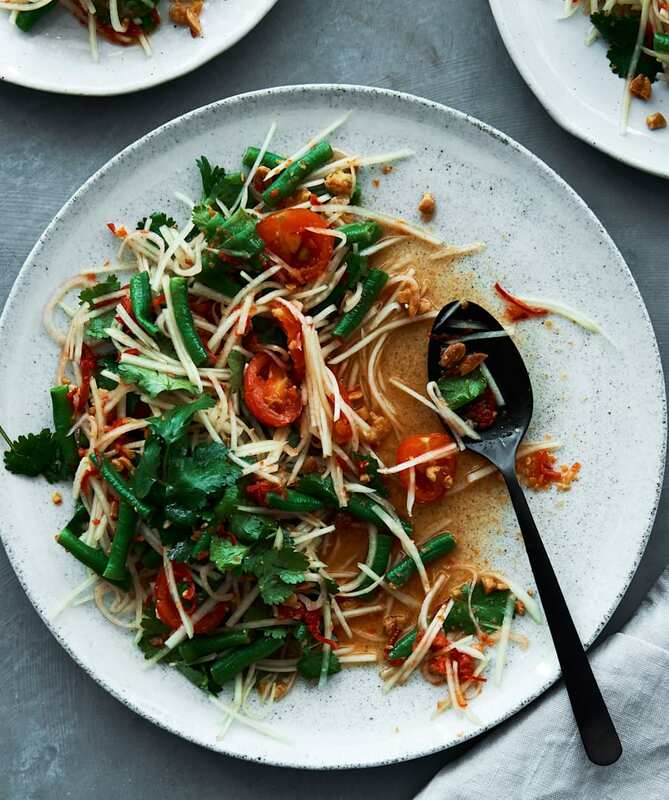 These easy, tasty recipes from Neil Perry's Good Cooking are perfect for summer -- from green mango salad to haloumi, grape, olive and pomegranate salad. "You should be able to find all of the ingredients for this salad in an Asian supermarket," Perry said. "Scud chillis are hot, very small, wild green chillies used in southeast Asian cooking. "Invest in a mandolin or julienne grate to make light work of slicing the mangoes and shallots." 1. Blanch the snake beans in boiling water until al dente, about two minutes. Refresh in iced water, then drain well. 2. Crush the peanuts in a mortar with a pestle, then place in a large mixing bowl. If you are using the shrimp, pound them, then add to the bowl. Pound the snake beans, then very lightly pound the tomatoes and add both to the bowl. 3. To make the dressing, pound the garlic in the mortar with the pestle, then add the red chillies. Pound together, then add the palm sugar, fish sauce, lime juice and scud chilli, if using. Mix together until thoroughly combined and the sugar has dissolved. Taste and adjust as needed. 4. Add the dressing to the bean mixture along with the green mangoes, shallots and coriander leaves. Mix thoroughly and present on a large serving platter. Note: You can substitute snake beans with green beans if you wish. Perfect for summer, this mango salad is an ideal starter. "All of these wonderful flavours together make for a very exciting salad," Perry said. "I do love warm haloumi, but this salad is also great at room temperature using crumbled feta instead." 1. To make the lemon vinaigrette, whisk the lemon juice, olive oil and seasoning together. 2. Remove the grapes from the vine, wash and cut in half. Place in a bowl with the pomegranate seeds, olives, rocket and mint. 3. Heat the olive oil in a non-stick frying pan over high heat. Pan-fry the haloumi for one minute on each side or until golden. 4. Add the vinaigrette to the salad and toss to combine. 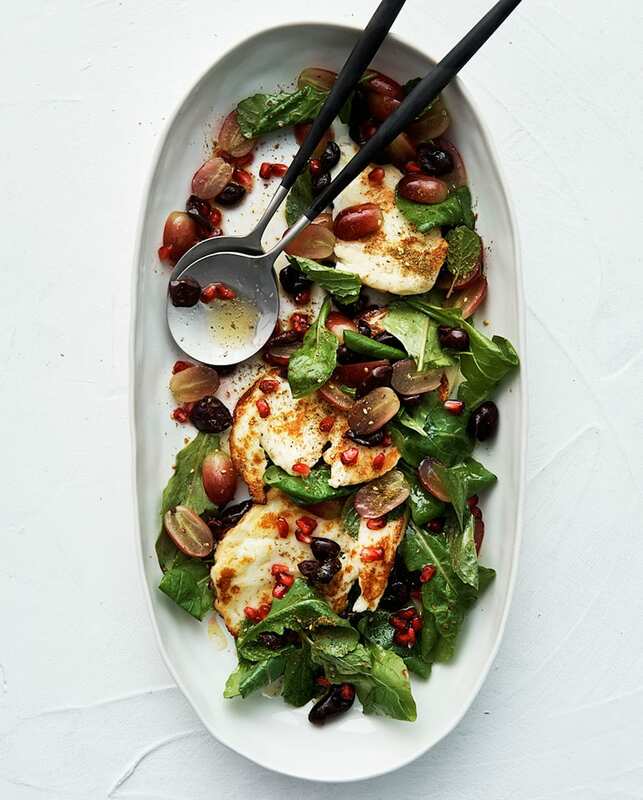 Divide the salad and haloumi among four serving plates and sprinkle with the za'atar. Serve immediately. Note: Za'atar is a Middle Eastern ground spice blend that typically contains dried thyme, sumac and sesame seeds. Haloumi lovers, this salad is calling your name. "I'm going to put it out there: this may not be the healthiest breakfast or brunch dish you've ever had, but it might well be the tastiest," Perry said. 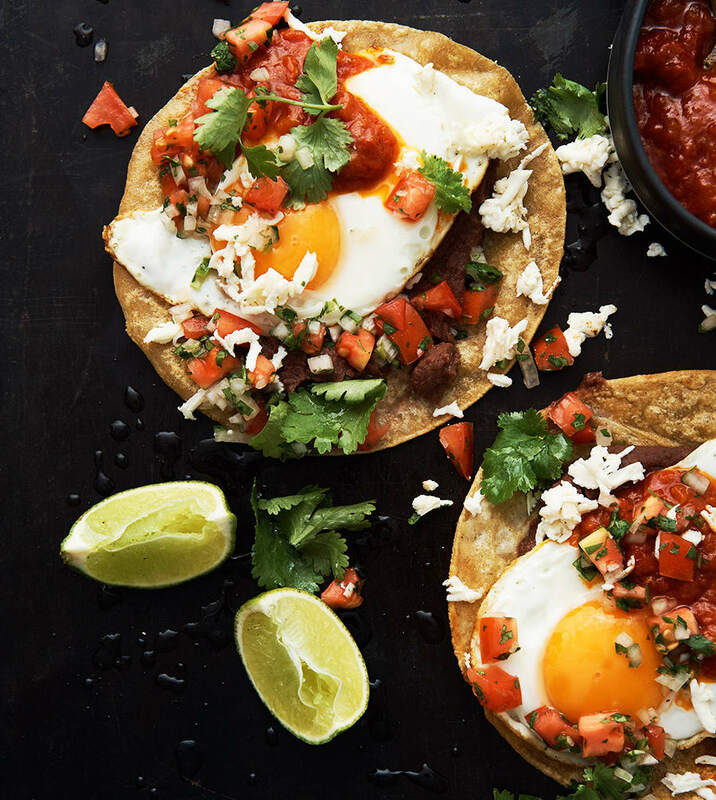 "Beans, tortillas and eggs are amazing together and I especially like them with lots of fresh coriander and hot sauce. You'll find most of the ingredients you need in a South American food store. "Dry ricotta or another firm fresh cheese can be used as a substitute for the queso fresco." 1. To make the tomato sauce, heat the oil in a heavy-based saucepan over medium-high heat. Sauté the onion and capsicum until soft and lightly browned. Add the oregano and cumin and cook for about one minute. Add the tomatoes, enchilada sauce and stock, then increase the heat to high. Bring to the boil, stirring frequently, then reduce the heat to medium-low. Simmer for about 30 minutes or until the sauce has reduced and thickened. 2. To make the tomato salsa, combine all the ingredients in a bowl. Adjust the chilli, lime and salt to taste, then set aside. 3. Heat about 60ml (¼ cup) vegetable oil in a small frying pan over medium heat. Test the oil with a small piece of tortilla to make sure it's ready -- it should start to bubble immediately, but if it browns right away, it's too hot. Place a corn tortilla in the oil and cook for about 30 seconds, then flip over and cook for another 30 seconds. (You want the tortilla to be golden but not hard.) Drain on a plate lined with paper towel and keep warm while you cook the remaining tortillas. 4. Wipe out the small frying pan and heat the refried beans, if using. 5. Meanwhile, fry the eggs in batches in a large frying pan (I like to leave the yolks runny). 6. Put two corn tortillas on each serving plate and top with the refried beans and fried eggs. Spoon the tomato sauce over the top, sprinkle with the cheese and finish with the fresh salsa. Serve immediately with your choice of extra accompaniments. "A wonderful dish we serve at my Melbourne restaurant Rosetta. The lemon oil goes so well with the seafood," Perry said. "Please use any seafood you like -- the dressing will be perfect with absolutely everything. Mussels are a great substitute for the clams or you could use a mixture of both. Just remember to clean the mussels and pull out the hairy beards." 1. Soak the clams in cold water for 15 minutes, then drain and rinse well. 2. If you are using fresh octopus, beat it with a meat hammer to tenderise it (you don't need to do this if you are using frozen octopus, as freezing has a tenderising effect). Rinse well under cold running water, wiping with a clean sponge to remove any excess saltiness. Bring a large saucepan of water to the boil (do not add salt as this will toughen the octopus). Add the octopus, cover and reduce the heat to low. Gently simmer for 20–30 minutes or until tender. Drain well and cut the octopus into bite-sized pieces. 3. Meanwhile, bring another saucepan of water to the boil. Add the squid and simmer over low heat for 10 minutes, then remove with a slotted spoon. Allow to cool, then separate the tentacles from the squid and slice the squid bodies into strips. 4. Add the prawns to the pan of squid water and simmer for two minutes or until they have changed colour and are just cooked. Remove with a slotted spoon. Allow to cool, then peel and devein. 5. Place the clams and white wine in a large saucepan over high heat. Cover and cook, shaking the pan occasionally, until the clams have opened. Remove from the heat and strain, reserving the cooking liquid and discarding any clams that haven't opened. 6. Whisk 50ml of the strained clam cooking liquid with the lemon oil, sea salt and black pepper to taste. 7. 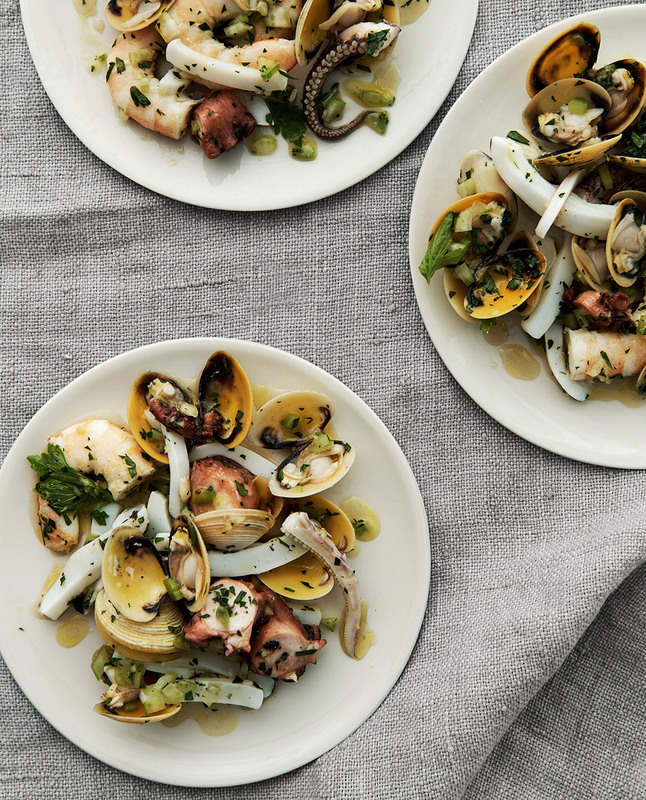 Put the octopus, squid, prawns, clams, chopped celery and celery leaves in a shallow serving dish. Drizzle the dressing over the seafood. Scatter with the parsley and garlic and serve immediately. Note: If the clams are packaged and prewashed there is no need to soak them -- just remove them from the packet and rinse. Recipes and Images from Neil Perry's Good Cooking (Murdoch Books). Photographer: Earl Carter.